Register by June 1 and Save 20%! Schedule Your Free Consultation Today to Talk with RunnerDude about Your Fall Race Training Goals! Custom Training Plan: No cookie-cutter training plans at RunnerDude’s Fitness. Even though it’s group training, each runner gets his/her own training plan customized to meet his/her individual running goals. You Pick the Race You Want to Run! 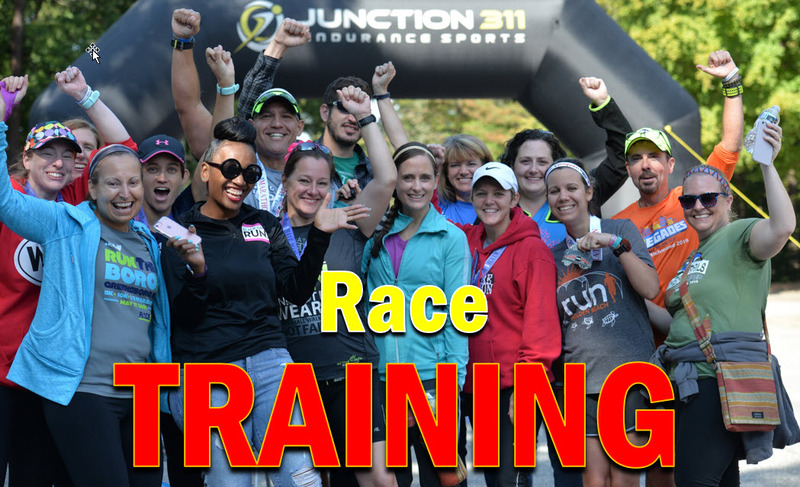 With the RunnerDude’s Fitness Group Race Training Program, you can train for the race of your choice! Use code: DUDE20 at checkout to save 20%! Just-a-Plan and One-On-One Training Options Available too! Looking for just a customized training plan that you complete on your own? RunnerDude’s Fitness will be happy to create a plan to help you reach your goals. This is perfect for someone who doesn’t live in Greensboro, NC, but still wants a solid, structured plan to help meet his/her specific running goals. Contact us at runnerdude@runnerdudesfitness.com for more informtion. Group times not work for you, but want weekly one-on-one communication on your training? RunnerDude’s Fitness will be happy to work-up a one-on-one training plan for your goals. For more information, contact us at runnerdude@runnerdudesfitness.com for more information.